The 360-degree pool water slide often makes a statement in anyone’s backyard. 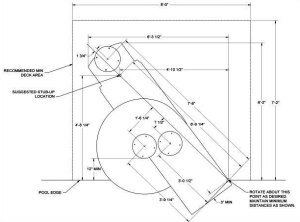 And the Interfab G-Force 2 Slide for inground swimming pools is no exception. 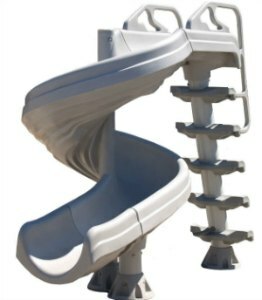 Made of Rotational Molded – Polyethylene with a very “space-agey” look, this is one of the most popular slides by Interfab. The Interfab G Force 2 pool slide is 6′ high at the seating area. It has a deep flume that 13.5” deep and 22.5” wide. The G Force 2 slide is available in one color and is great for those who want to have a big slide with a small footprint. The 360-degree design makes a big difference in that it’s like the slide in water parks, but it doesn’t take a lot of space. Buy the Interfab G Force 2 slide online and get some good discount. Here are some of our sponsors which often offer the lowest price online. 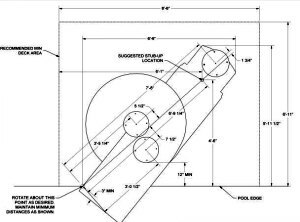 Here’s a very detailed step by step instruction on how the Interfab G Force 2 Slide For inground swimming pools is installed. This should help you when you buy your very own.